From July 1921 during the Treaty negotiations, voting on the Treaty, and until the Civil War started in 1922, the time was spent drilling etc. until August 1922, when the Free State soldiers landed at Passage. Up to that date, members of the IRA held the military barracks, now known as Collins Barracks, since it had been taken over from the British. I should mention that a large number of IRA men had gone to Dublin and joined the Free State Army on its formation. 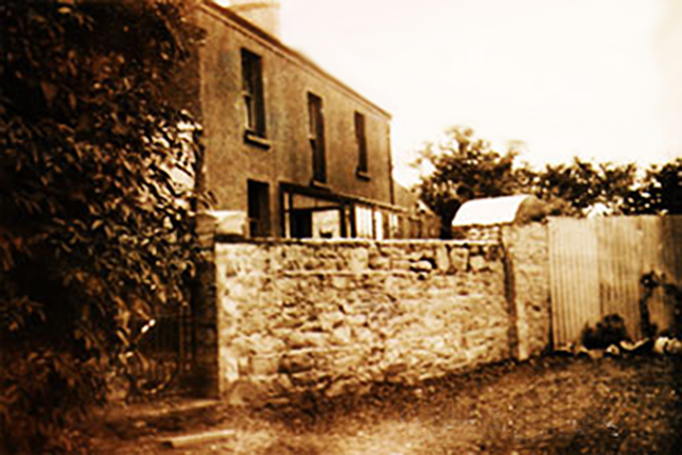 The Monday that the Free State Army landed at Passage, I happened to be working in the garden, digging potatoes for Tuesday’s market, when the company Captain called, mobilising men, and ordered me to report for duty to the Military Barracks. This I did after a short preparation. And on arrival there, was left standing around for some time. That night I was given a mattress to sleep on, and was instructed to parade on the Square the following morning. I got up early the following morning and after messing around for a while discovered where the grub was and got something to eat. On parading at 8am, I was selected with about 20 others, given a Lee Enfield rifle, 20 rounds of ammunition and two Mill bombs, and marched off to relieve the guard at detention barracks. The prisoners were about 100 Free State soldiers who had been captured up the country and transported to Cork for safe keeping. One of them happened to be a very good friend of mine. To make a long story short, we did what we had to do until about 2pm the following day when we received orders to line up the prisoners and march them down to the barrack square. The decision had been taken by the higher-ups not to evacuate the barracks, burn it down, and retreat to the west. One of the reasons was that they did not want Cork city destroyed in the fighting. By the time we arrived on the square with the prisoners most of the barracks were in flames, with petrol barrels and petrol cans that had not been got on time exploding. I have never seen such confusion before or since. The prisoners were released, on giving a promise that they promptly forgot on getting outside the gates, that they would not return again to the Free State army. My friend rejoined immediately and was shot dead about four weeks later at Phair’s Cross when he failed to stop in time the army lorry he was driving when called upon to halt, by another member of the Free State forces. Our own forces were formed up for the retreat to the West; permission being given to anyone that wanted to fall out and return home to do so. A fellow member came to me and told me that the rifle I had was his and that he wanted it back. By this time, being very disillusioned, I gladly returned it to him, along with the ammunition and the two Mill bombs. And I returned home a much wiser man (or boy). Needless to say, on my arrival home I was welcomed with open arms. So ended my days with the IRA – not a very glorious end but a very sensible one. The majority that marched West were dismissed a couple of miles beyond Ballincollig and had to make their own way back again, to their homes. PS. I was arrested by the Free State army who raided Friars Walk at 2.30 am the following December and taken to Moore’s Hotel, on Morrison Island, which was the HQ of the Free State army as Cork Barracks had not been made habitable after the burning. I was held for approximately one week and then released.